The Art Show is where artists can showcase their very best or newest works of art for the public to view and bid on, so bring your ‘A’ game. ALL ART MUST BE THE ORIGINAL WORK OF THE ARTIST. Multiple prints of the same artwork will not be accepted. You may be part of the Vendor Hall or Artist Alley and still have work in the Art Show. Any piece of artwork submitted will be considered as for sale or for auction. By completing and signing an artist registration form, you represent and warrant that you have the right to offer and sell all artwork or other goods submitted to the Art Show, and that such offering and selling will not infringe upon or violate any copyright, trademark, common law or statutory right of any person, firm or corporation. Further, by signing such artist registration form, you agree to indemnify and hold harmless BronyCon, its successors, licensees and assigns, and the officers, agents, employees, directors and representatives of each, from and against all claims, losses liabilities, judgments, costs, expenses and damages (including without limitation, attorneys' fees and legal costs) in connection with any claim arising out of the offer or sale of the artwork in the Art Show. BronyCon, at the discretion of the Art Show staff, reserves the right to reject any submitted artwork, or to remove submitted artwork from display. Per BronyCon exhibitor policy and Maryland state law, either the artists or agents must be 18 years or older and provide a copy of their government issued ID to submit artwork. School IDs or bank cards will not be accepted. Artists can NOT bid on their own piece. Any artist caught doing so will have their piece disqualified from the Art Show. BronyCon attendees must be the age of 18 or above to register as a bidder. If under 18, they will have to have a parent/legal guardian register as the bidder. You must be registered as a bidder and must have a valid BronyCon badge in order to bid in the Art Show. What Art Should I Bring? 2D Art (Prints, Posters, etc): Original pieces of art made by the artist. This cannot be a reprint or resale of any known artwork. 2D art will be hung up on display boards. Feel free to bring your own display frames. Otherwise they will be hung up as provided. 3D Art (Sculptures, plushies, wearables, etc. ): Sculptures can range from carvings to wire-frame figures, and will include plushies. 3D art will displayed on tables. Other options may be available. Feel free to bring your own display stands. Other: Essentially anything else not described by 2D Art or 3D Art. Presentation and methods of displaying the artworks may be discussed before the convention. There is no size limit as long as the piece can be reasonably carried by a single person and can fit through the main entrance and exit doors. Our staff will not carry the artwork for you. There is a flat fee of $5 for each art piece, no limit on submission per person. BronyCon will take a 10% commission from the total price of the sold artwork. All submitted art is subjected to a quality check as the Art Show is family friendly. Highly recommend framing your 2D artwork. Only the original artist may submit art to the artshow via the art show registration form, however the artist may have an ‘agent’ conduct at-con business for them. Agents must be carrying the artist’s ‘registration code’ (sent via email after registration) to act on their behalf. Sign up for the Art Show will be on a first come first serve basis. 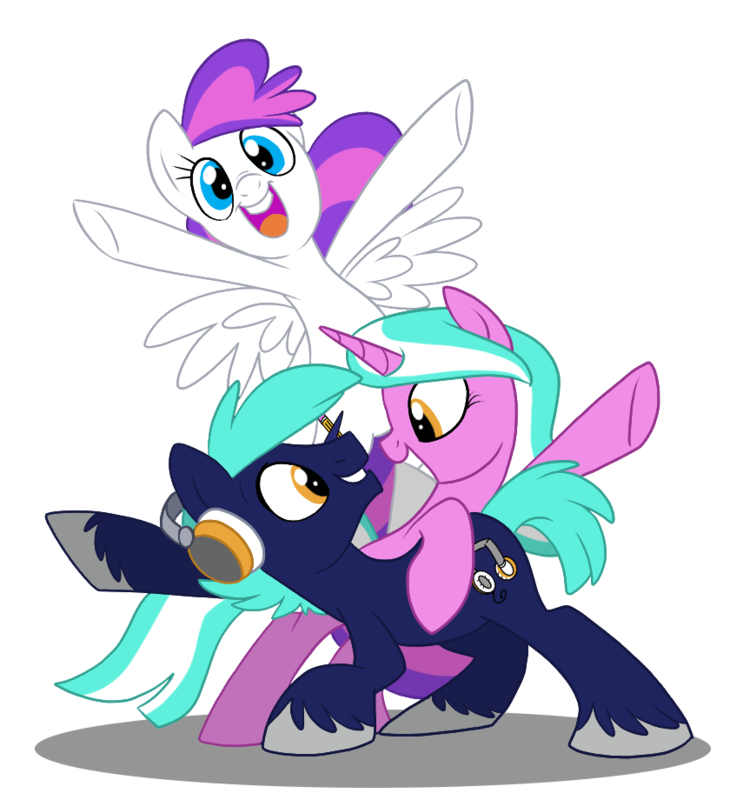 As long as your art piece meets BronyCon’s family friendly standards, classifies as ‘Art Show Appropriate’ (as described above) and there is room left in the show, you’ll get in. Artists and artwork may only be registered up until July 1, 2017. After which no more applications will be accepted. All artwork must be completed before submission. Artists and agents may apply at bronycon.org/marketplace. Artists or their agents may show up as early as Thursday 4 pm - 10 pm through the opening of the hall on Friday morning. If unable to make it during this time, arrangements can be made ahead of time on a case-by-case basis. In order to sign in, artists or their agents make their way, with their artwork, to the Art Show, which is located in the Vendor Hall, and present their registration code. Be cautious with your registration code as you will be held responsible for any actions made using your registration code. Any unsold artwork may be picked up on Sunday during artwork pickup time which starts at 10 am. For pickup, only original artist or agent with the ‘registration code’ may pick up the unsold artwork. Any art that is not picked up by the end of vendor teardown on Sunday will become the property of BronyCon. At this point artwork will be disposed of and cannot be returned. Artists will have the ability to set a minimum bid and a choice to add a buy now price to the item. An item with no bids can be pulled at any time. Items with one or more bids can only be ended early before the last 6 hours of the Art Show. If artists wants to end the bid and give it to the highest bidder, they can simply end it as long as it isn’t within the last 6 hours. If artists want to end the bid, but keep the item, a fee equal to how much the item would have sold at the time to the highest bidder will have to be paid by the artist to reclaim the item. Once the Art Show is within its last 6 hours before closing, all items with bids are locked and cannot be pulled early unless it is bought outright (if applicable) or artist wants to sell the item to the highest bidder at the time. BronyCon will make its best effort to prevent any damage to the art, but will not be held responsible for any damages. Art on sale in the Vendor Hall or Artist Alley will not be accepted for submission in the Art Show. Any and all art which is not an original "one of a kind" work, such as a cel photocopied from the artist's original sketch and painted in, must be clearly marked as such. BronyCon will not be responsible for or defend any claims of trademark or copyright infringement raised against or in connection with artwork submitted for the Art Show. Mail in submissions will not be accepted in 2017. If the artist chooses to have an agent submit or pick up their artwork, the agent can be registered before the convention starts. Onsite agent registration can be done, but the artist must send confirmation via email. Agent must provide a valid copy of their government issued photo ID when submitting or picking up the artist’s artwork. If an agent wishes to enter Art Show as an artist they must register separately. If an agent attempts to register their art under another artist's registration both the agent and the artist may be disqualified from participating in the Art Show. Artists are responsible for the actions of their agent. To bid on an art piece, an attendee must fill out a Bidder Registration form at the Art Showroom during hours of operation. Potential bidders must have a government issued picture ID. Student ID and Bank cards will not be valid. Bidder’s basic information will be collected, most importantly the name (first and last) and a method of contact, whether it is cell phone or email. In order to place a bid in the art show, a bidder MUST register at the Art Show registration area. Be careful with your bids! Once you make a bid on an item it is binding. Unless you are out bid, you are agreeing to pay the full price of your bid. No exceptions will be made. The barcode stickers you will receive at registration will prove your identity, DO NOT LOSE THEM. You will be held responsible for any and all bids made with your barcode sticker. Do NOT bid more than you feel comfortable with. Once your bid is placed it is binding and cannot be removed. Bidding will end at 6:00 pm on Saturday. It’s recommended to place your barcode sticker on the back of your badge. This will make pick up faster and easier. Artwork won must be picked up before the Art Show closes on Sunday. Bidders must pick up artwork form the bidder pick up line. Only the registered bidder may pick up the artwork. The bidder may not have an agent pick up the art without the bidder physically being present. Bidders must pay the full amount due to pick up the artwork either by cash or credit card which is run through PayPal. For each artwork after bidding has closed, the top 3 bidders will be contacted. 1st place must pick up their artwork or contact us back by 10 am Sunday morning, or they forfeit their bid over to the next place winner. 2nd place bidders will have until 12 pm to pick up their winnings or contact us. If 2nd place fails to contact us or pick up the artwork by 12 pm, it is forfeited over to 3rd place. 3rd place will have until 2 pm to contact us or pick up the artwork. If 3rd place does not do so the item will default and be returned to the artist. Artist WILL NOT be getting their winnings on Sunday. Winnings will be distributed through PayPal so it is highly recommended to make a PayPal account. Other arrangements can be made for receiving payment like checks, but additional fees may apply.